The twelfth schedule of the 74th amendment to the Constitution of India made it mandatory for the municipal corporations to prepare environmental status reports by July 31 every year. 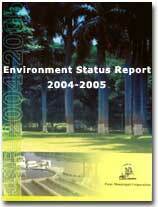 Pune Municipal Corporation has been meticulously publishing this report for the last ten years. Unfortunately, the corporation refuses to look upon it as an opportunity, preferring to consider it a 'task'. The Environmental Status Report (esr) 2004-05 bears the stamp of this attitude. The account Following an expected trajectory, the chapters begin by introducing city profile, demography and economy, housing and slum, health and, interestingly, education. This chapter has everything on education but environment. The chapter on traffic and transportation has got lots of useful facts, figures and numbers for researchers, though the same doesn't hold for the text that follows. It explains how two-wheelers have doubled since 2001. That Pune has a low share of public transport and obviously higher share of private transport, symptomatic of the country. The report tries to formulate criteria for environmentally sustainable transport. While a section on "Cycle Track and 'Bus Rapid Transit' System for Pune City" reads well for a change, you suddenly realise that the section is incomplete. A typographic error perhaps, but it takes a lot away from the report. Breathing low The chapters on water, solid waste and wastewater will disappoint the reader. They present only the details of the pumping stations and the treatment plants, there is no mention of the distribution network. The city's water sources are not clearly mentioned. Pune's dependence on groundwater and the long-term trends in groundwater levels or quality do not even find a mention in the esr. The lack of details and data analysis leaves a lot for the reader to assume and interpret. For instance, wastewater generation as per the report is 451 million litres per day (mld). But based on water supply range offered by the report, waste generated would vary from 470 mld to 637 mld. Half the story! Industrial waste and waste generated from groundwater use is not even considered. Status of treatment plants, quality of treated effluent, and its disposal or reuse are vaguely depicted. The reader is left to empathize the differential. The water pollution write up throws up some interesting finds. For starters, dissolved oxygen value (do) in a waterbody increases with a decrease in the value of biochemical oxygen demand (bod). The water quality data of the Mula-Mutha rivers shows that bod during May 2004 was zero at Vithal Wadi, but the corresponding do value is 1.00 milligramme per litre. Any takers? Perhaps the most conspicuous aspect of the report is the absence of detailed analysis on vehicular pollution, baring those colourful graphs and tables. A lot of work has been done on mobile source air pollution, which surprisingly finds no mention in the esr. Many international agencies have been working in the Pune region. The work done and the way ahead could have made an interesting read. The motive of chapter 14 -- Action Planning and Environment Management -- is unclear. In a section, 'Setting Goals and Objectives for Task Identification,' there is no mention of vehicular air pollution! Who checked the quality? One doesn't comprehend where a chapter ends and how a new one begins: for a change the reader has to look down and not up for an impending chapter. The editing leaves much to ne desired. I can't resist giving, not one but three examples. For instance, at one instance the estimated population is 3006036 and just below this figure, estimated population figure is quoted as 3060036! On the same page there are two different figures for female population. And finally the report says, "The working age group is a detrimental group to the city with its economic development dependent on them". One can overlook all this given that barely three months went into the report, but should we? I don't really understand (so will you if you happen to read the report) if the report has been prepared to generate environmental awareness, and address environmental concerns or is it just because the 74 th Amendment Act of 1992, requires a municipal commissioner to table a report on the Status of Environment before July 31, each year. Only Pune's municipal corporation can tell.